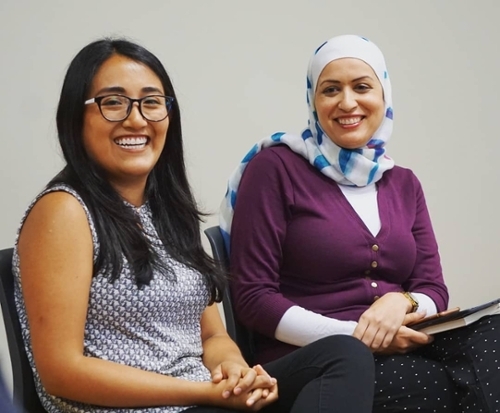 The Student Literary Advisory Board presents the kickoff event for "Poetry for Resistance" in partnership with the Office of Intercultural Life, which is also sponsoring a poetry contest. Welcome new English majors and catch up with faculty and friends at the annual majors party. A reading to celebrate the release of Riding with Anne Sexton by Rouse, who is Director of the Center for Teaching and Learning and Consulting Librarian for Arts & Humanities at Cornell. Poet and translator Durand travels from New York to share new work. 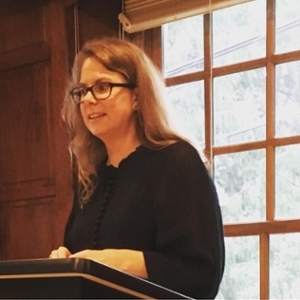 Novelist Dressler, Distinguished Visiting Writer for Spring 2019, reads new work. SLAB celebrates the release of the Poetry for Resistance chapbook, featuring readings by contributors and free chapbooks for all. Campus and community members are also welcome to read short pieces for the open mic portion of Writers After Dark, sponsored by The Center for the Literary Arts and the Mount Vernon Area Arts Council. Shena McAuliffe, Assistant Professor of Fiction at Union College and a former Robert P. Dana Fellow at Cornell, reads from her debut novel, The Good Echo, winner of Black Lawrence Press's Big Moose Prize. Reception to follow. Join us for our annual English & Creative Writing major awards night and the launch of our literary magazine, Open Field. Cornell alumnus Miller, an essayist and fiction writer, reads selections from his collaborations with artist Dale Williams. A reading with two of the writers in residence this fall at the University of Iowa's International Writing Program, Haifa Abu Al-Nadi and Adriana Borja Enríquez. Celebrate the legacies of Winifred Mayne Van Etten '25 and Stephen Lacey '65 in the cherished home of the Center for the Literary Arts, enjoy the work of student creative writers and editors, tour our historical Foxden Press and share the excitement about the iron Washington Press while perusing archival materials, book art, and letterpress work created by students and faculty. Pop-up readings by Distinguished Visiting Writer Kathleen Maris Paltrineri at 3:30 and by students who interned at the Chautauqua Writers' Center last summer at 4:30. Paltrineri, Distinguished Visiting Writer for Fall 2018, reads from her new poetry manuscript, A Psalm for Our Bodies. Alabi, a contributor to the new poetry anthology Black Girl Magic, reads new work. The Center for the Literary Arts and the Mount Vernon Area Arts Council are excited to announce a new event, Writers After Dark! Come listen to readings by campus and community members, along with host Joe Jennison! The event features Mount Vernon Poet Laureate Marianne Taylor, R.P. Dana Emerging Writing Fellow Becca Klaver, poet and librarian Jen Rouse, and Cornell students Madeleine Koenigsberg and Katrina Stroud. There will also be an open mic sign-up starting at 7 p.m.